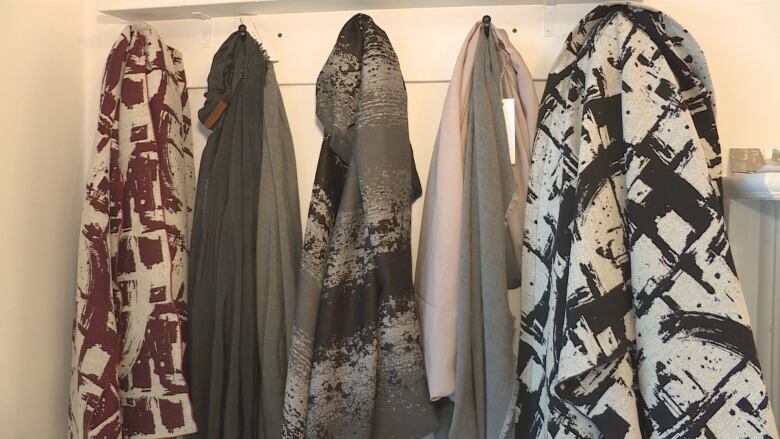 An Ottawa accessory designer has received unprecedented exposure as the Trudeau family gifted two of her scarves to U.S. President Barack Obama's daughters during an official visit to Washington. 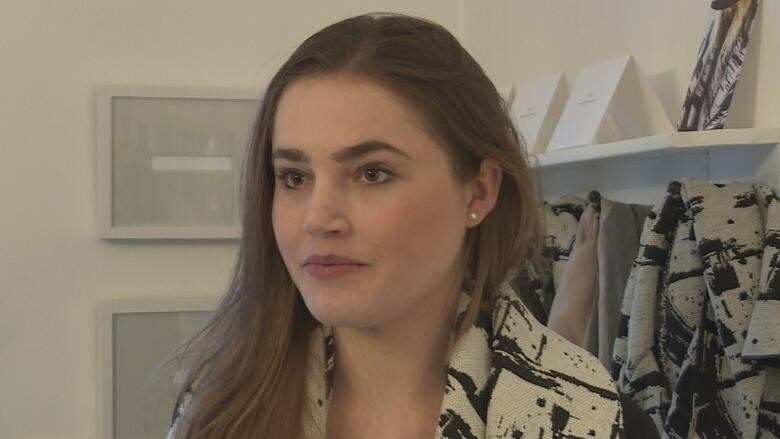 An Ottawa accessory designer has received unprecedented exposure as the Trudeau family gifted two of her scarves to U.S. President Barack Obama's daughters during an official visit to Washington, D.C.
Krista Norris, 26, woke up to messages from friends Thursday morning telling her to turn on the television. The Obama sisters, Malia and Sasha, each received one of her "Maverick" infinity scarves, made of cotton Jacquard fabric in a bold print. "That was a really nice surprise for me to see them choose my two scarves for two great girls," she said. "I'm happy they're in their hands now." Norris started selling accessories three years ago. Now her line is sold at 45 stores across Canada and the United States, including two in Ottawa: Schad on Sussex Drive and ViensAvec Moi Boutique on Wellington Street West. Prime Minister Justin Trudeau also gave the U.S. president a soapstone sculpture by Woodland Cree sculptor Leo Arcand from northern Alberta, while his wife Sophie Grégoire-Trudeau gave first lady Michelle Obama a native aboriginal beaded cape by Quebec's Tammy Beauvais. Norris thanked Grégoire-Trudeau for increasing exposure for Canadian designers. "I definitely did notice a bit more attention on my website and definitely a few orders," she said. Another Ottawa business that has reaped success from an Obama connection is Le Moulin de Provence bakery in the ByWard Market. In February 2009, Obama bought maple-leaf-shaped sugar cookies with red and white icing for his daughters during a surprise visit to the bakery. 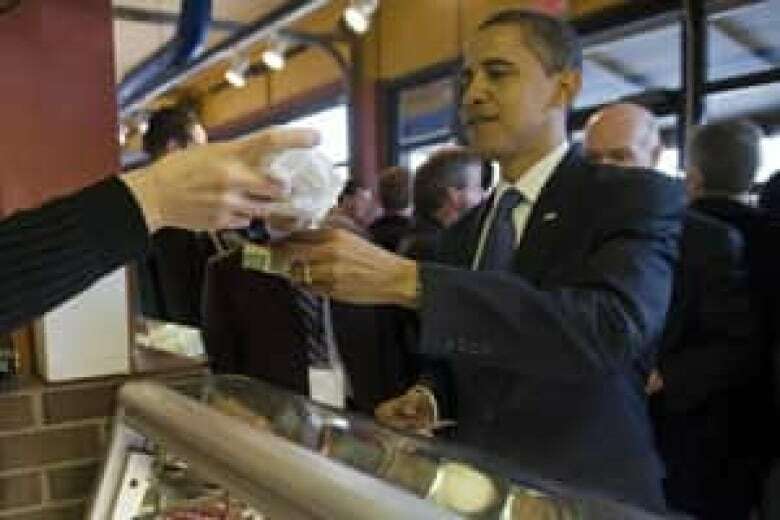 Barack Obama buys a cookie from Le Moulin de Provence bakery in the ByWard Market in 2009. (Jim Watson/AFP/Getty Images)Sales took off and thousands of cookies were being sold daily. Orders were coming in from Europe and the United States for what are known as the "Obama cookies". "It was nice to see him in my store. We were proud. With the Canada cookie that he bought, that was super for us," said Maxime Lemay who helps run the bakery. Lemay said the bakery still sells about 100 "Obama cookies" a day — seven years after the presidential visit. Obama returns to Ottawa for North American summit this spring, and Lemay hopes the president will pay another visit to his bakery.